You’ve completed extensive influencer research and vetted all of their social media accounts. Your influencer marketing campaign is just about ready for take off. But before you can, you need to figure out what success parameters should you track. And you haven’t the slightest idea what they should be. Sounds awfully familiar, doesn’t it? There’s a plethora of information and tools out there to help you with your influencer discovery and campaign management needs. But when it comes tracking your campaign performance, it can feel like you’re diving headfirst into a bottomless pit of the unknown. Despite your cognizance of the importance of performance indicators, you aren’t sure about which ones suit you best. So, to make things easier, I have compiled this list of important KPIs that I believe will benefit everyone. Website traffic is easily the first influencer marketing KPI that can help you determine the success of your marketing efforts. To measure the increase in traffic, you can use tools like Google Analytics. You can set it up to measure metrics like the ones listed below for a specific date ranges. New Users – Measure the number of new users who are visiting your page for the first time. This can help you determine if your brand awareness is improving. Total Sessions – The total number of sessions that are recorded on the site for the specified date range. Time on Site – The average time users have spent on your website. This helps you to figure out your bounce rates. Total Pageviews – This is a measure of the number of pages that were consumed during the said time period. This way, you know where your users are spending most of their time. Visits from Referrals – This helps you track which of your influencers are driving traffic to your site. Whether you use Google Analytics or some other tool, the only direction your website traffic should be heading is up. What’s more, if you have historical data from before implementing your influencer campaign, you can conduct a comparative analysis. A word of advice, always use your campaign URLs to track the source of your website traffic. There is no fixed number regarding the increase in the percentage of website traffic. But if get your influencer campaign right. you might achieve results similar Klean Plate’s. Relying primarily on influencers for their marketing needs, they managed to improve their site traffic by 204%. 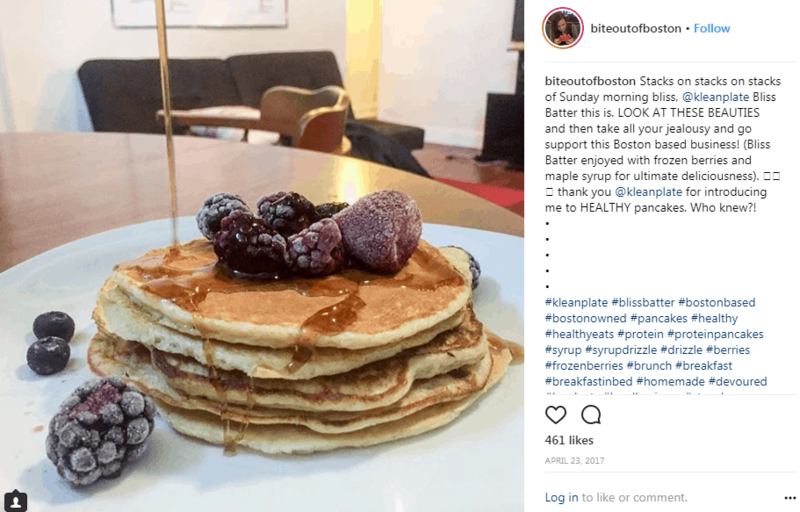 Above, we have one of their influencers asking her followers to sample and support the Boston-based food and fitness startup. YouTube, Instagram, or Snapchat, an influencer can be on any platform. However, the content you create in collaboration with them should be able to benefit your social media profiles as well. While it may seem like an elementary metric, brand awareness has a significant role to play when it comes to marketing. Tracking your social media growth is a relatively easy influencer marketing KPI to measure. Measuring the effectiveness of an influencer campaign aimed at driving social media growth involves some manual tracking. This is particularly important if you want to attribute any spikes in growth to a particular influencer. Otherwise, if you’re looking to track trends, then you could always give the platform’s own analytical features a shot. Another metric you should be looking at is your target audience growth. It’s not enough to simply measure the growth of your audience. It’s equally important to track the demographics you’re trying to get your message across to. As it turns out, this is also something the inbuilt analytical tools on social media platforms can help you out with. Check their demographics report to check on this. When you monitor your influencer’s grouping, it allows you to see whether or not they are creating content that elicits audience engagement. Doing so allows you to make pertinent changes to your strategy. Thus, enabling you to maximize your ROI. I cannot stress enough the importance of monitoring the engagement rates of your influencers. According to a report published by Linqia, the success of influencer marketing eventually boils down to the rate of engagement. 81% of the respondents believe that engagement is the ultimate influencer marketing KPI and all others pale in comparison. The amount of engagement your content receives is a definite measure of success. Engagement, however, shouldn’t be confused with the reach of content. Engagement is the actual interaction your content gets. Clicks – Clicks are a way to figure out interest levels in your audience. Although, it’s also important to have a good balance of clicks, likes, and shares. Likes – Likes are the simplest way to measure content appreciation. They also help you quantify, to a degree, the buzz around your influencer content. Shares – Shares are another indicator of content quality. If people recommend your content to their social media circles, they’re more likely to recommend your products too. Reactions – Facebook’s algorithm gives more weight to post reactions than your simple likes. Seeing as they require more effort, they are a better gauge to understand the content sentiment. Comments – Depending on the number and nature of comments, you can tell whether or not your audience likes your content. 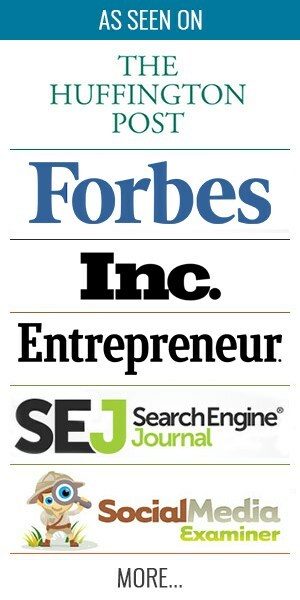 Brand Mentions – Measuring brand mentions allow you to track where your content is being discussed and amplified. 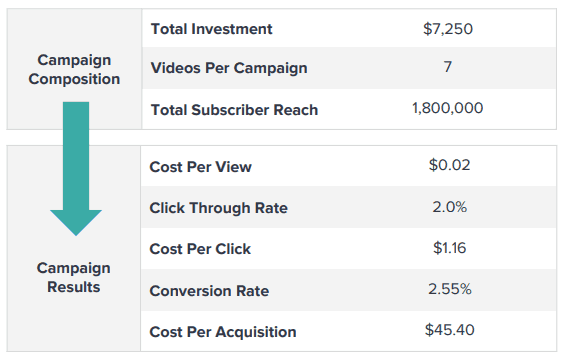 When you’re tracking engagement, tracking your cost per engagement (CPE) is another influencer KPI you should look at. CPE will give you an idea of the money you’ve invested per-click-through. Using it, you can understand on a brand level how consumers are reacting to you and not just your offerings. You can also take a page out of Swarovski’s playbook, and use unique hashtags to track your engagements. 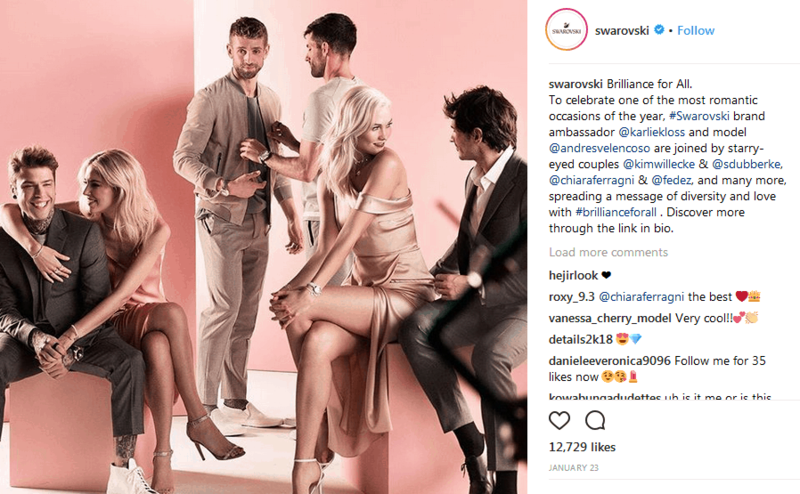 With Valentine’s Day on the way, they launched an influencer campaign that oozed their traditional class and elegance. They partnered with several gay and straight couples and celebrated diversity with hashtag #brillianceforall. The ultimate goal of any influencer campaign is to boost your lead generation, sales, and conversion rates. All of which are consequences of your improved brand visibility and audience engagement. Obviously then, you need to measure your lead generation and conversion rates. Identifying the marketing channels and influencers that are generating the most leads for your business can be critical to maximize ROI. Adjust your campaign to produce more and better content on the channels that are proving more effective. There are numerous analytical tools that you can use to measure this KPI. Google Analytics, unsurprisingly, is one tool that can help you get the job done. By using the Customer Acquisition Report you can check your traffic channels. You can even evaluate your campaign performance on social media on the basis of leads generated. It’s not enough to simply measure the leads generated thanks to your influencer campaign. It’s more critical to measure the number of leads you actually converted into sales. Conversion tracking is just as important, if not more, an influencer marketing KPI. Speaking about conversion rates, Grapevine analyzed 150 influencer marketing campaigns. According to the study, the average the rate of conversion via influencer marketing is 2.55%. A high rate of conversion is essential. After all, in most cases, the purpose of influencer marketing is to boost sales. I say “in most cases” because sometimes brands do use influencer marketing only to gain visibility and not for sales. Having already covered lead generation and conversion rates, the next metric that we’ll be looking at is sales. It’s the most basic yet biggest indicator that you should be looking at if that is the goal of the campaign. 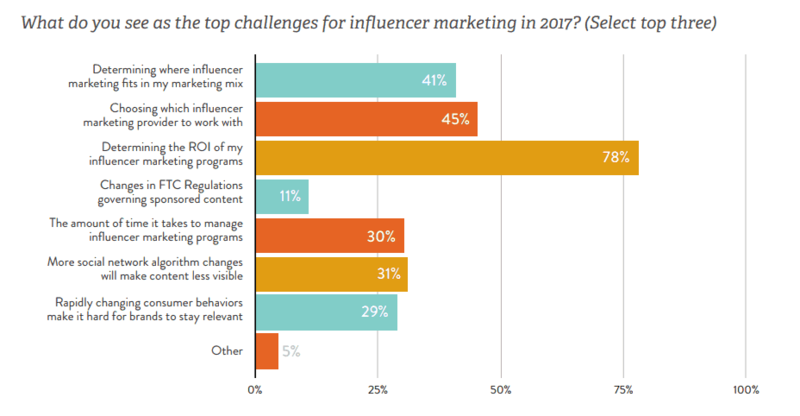 The Linqia study from earlier reported that 34% of marketers use influencer marketing to improve the online and in-store product. Speaking about the wonders that influencer marketing can do for your sales, we can look at Klean Plate again. In a span of four months, their online sales increased fourteen times. 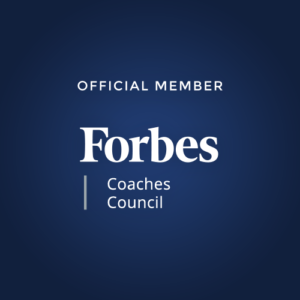 When leveraging influencers, there are multiple ways to boost your sales such as affiliate links, promo codes, and more. To help measure the sales that are coming via your influencers you can use trackable links, unique codes, and UTM parameters. This way you know the exact sales impact each of your influencers is having on your business. Affiliate links have the added advantage of showcasing click-through-rates, the number of sales, and average values of each purchase. When you use special promo codes for influencers, your KPIs go beyond just sales. They allow you to track their future purchases too. You picked a trustworthy influencer, together you created a wonderful content, and published it. Now, if your prime objective is to boost your sales, then your return on investment (ROI) is another critical influencer marketing KPI for you. It’s not enough to be working with influencers who help you build a huge follower base. While this might improve your brand exposure manifold, they don’t necessarily equate to high sales. You need to understand and measure the cost you’re bearing for the sales your influencers ultimately generate. It turns out calculating the ROI for an influencer marketing campaign is a major challenge being faced by marketers globally. In fact, the previously cited Linqia report puts the number of marketers facing this issue at 78%. Set Your Budget – Have a clear picture of how much can you afford to spend on the campaign. Work Out Influencer Worth – Knowing how much each influencer is actually worth beforehand can help you with your pitches as well as your budget allocations. Goal Setting – Set your campaign goals early on and plan your influencer marketing efforts accordingly. Cost Measurements – Goes without saying but keep a proper track of how much you’re investing in every aspect of your campaign. Influencer marketing can do wonders for your brand. Seeing as it strikes a chord with the audience who matters the most. But the only way you can tell if that’s actually happening is by monitoring the right metrics. There are numerous influencer marketing KPIs you could be tracking. But each brand, each industry, and each marketer may have different goals for their influencer marketing campaign. You need to figure out which of them apply most to you. Hopefully this list I’ve compiled will make things easier for you. In case you have other metrics that you think are just as important, feel free to provide your valuable insights. That’s what the comment section is there for.